Note: 1.When it goes dim please don't forget to charge it, you can plug it into your power bank, laptop, socket usb interface. Just 1 hour will be fully charged. 2.If you have any question, please feel free to contact us, we will do our best to help you! 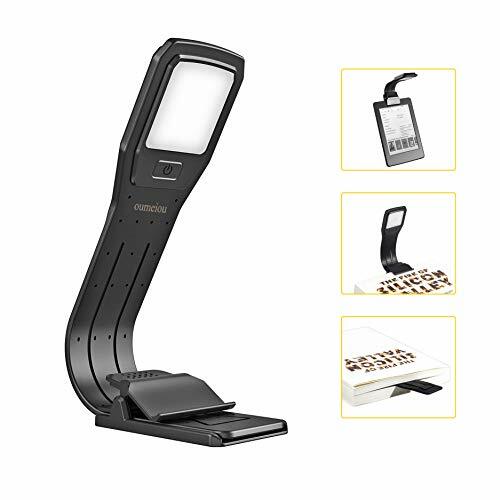 4 LEVEL ADJUSTABLE AND NO NEED CHARGING CABLE - The rechargeable book lights can be bent into different angles, 4 dimming brightness options allow you to select what you need during bed time. 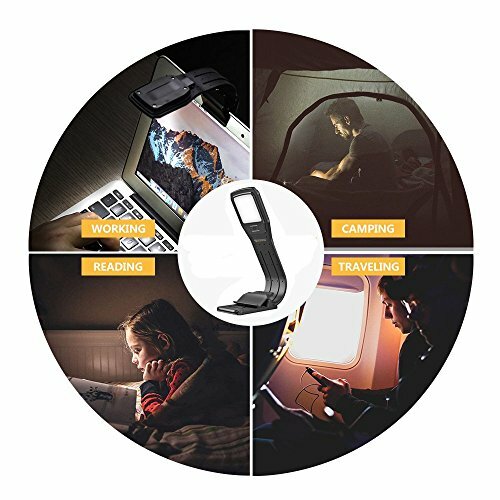 The USB charging port can allow you to charge directly from laptop, power bank or other USB outlet, which makes your night time reading way more convenient. 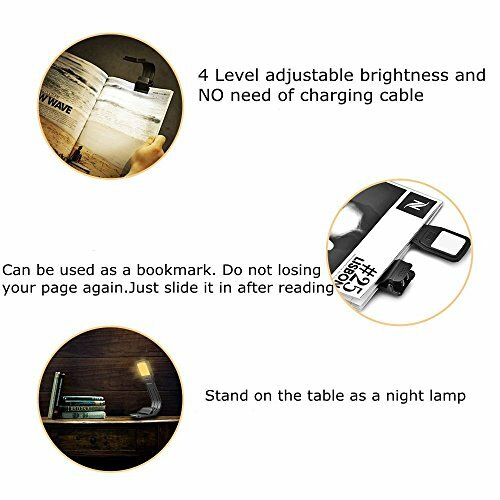 THIN ENOUGHT AS A BOOKMARK - This USB light is lightweight to clamps onto your books with ease and doesn't weigh it down. Can also be made flat acting as a bookmark. Do not losing your page again. Just slide it in after reading. More convenient to continue with your reading journey. 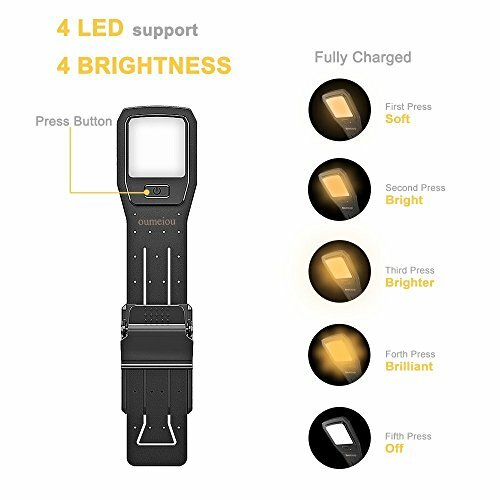 BEST READING LIGHT FOR BED - It's 2800K warm 4 LEDs, not 7000K bluish blinding light, the warm light adds the perfect amount of light to the page and provides extra relief to your eyes. It shines on your kindle & books and does not light up the whole room when you read at night, and won't wake up children and partner that sleeping next to you. 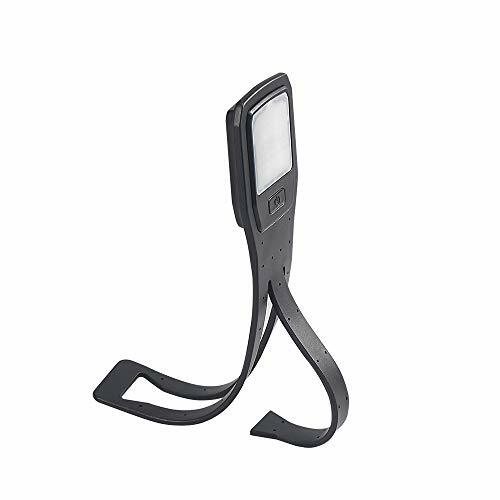 Perfect book light for reading in bed at night. 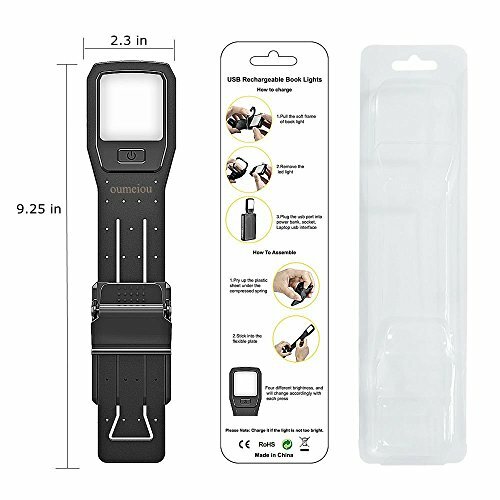 FLEXIBLE AND FOLDABLE Bookmark Light- Just the size of your pocket, easy taking and ideal for carrying around on a long time plane/train trip, as sometimes the overhead lights disturbs others on the plane. 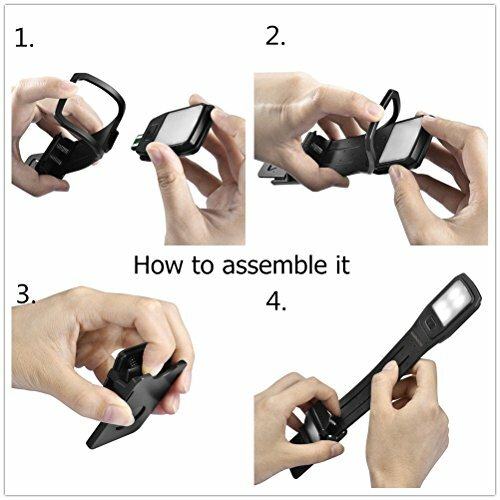 You can also take the clip apart from the main body, and bend it to the shape you want. 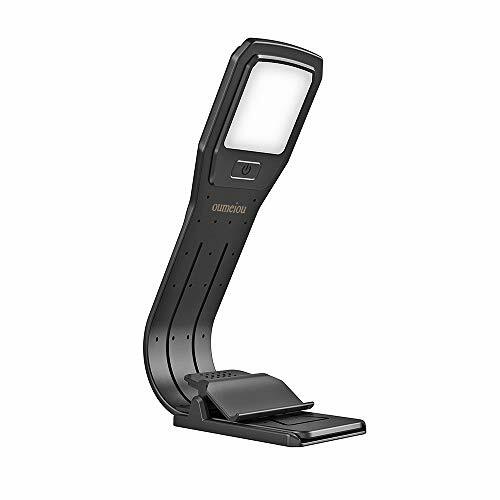 It can even stand on a table separately as a night lamp. 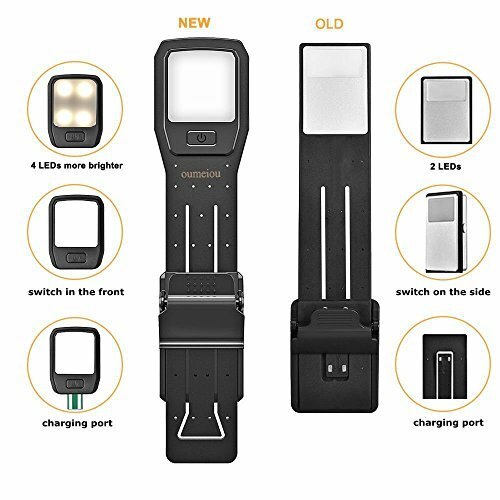 MULTIPLE USES - You can use it for reading books or writing something in the middle of the night when you don't want to disturb others with the big room light. You can also use it for other things like keeping it in your purse to look for stuff in it when it's too dark, and it does not take much room in your purse at all. If you have any questions about this product by Oumeiou, contact us by completing and submitting the form below. If you are looking for a specif part number, please include it with your message.